In this week’s music tech news roundup: Arturia MicroBrute, Dave Smith Mopho, Strymon BigSky, Sonic Faction’s Mutant Synth Pack, Multitude Quad Delay, Ohm Studio, Keith McMillen QuNeo Rogue, and more..
Arturia has captured the attention of the synth-obsessed yet again with the MicroBrute – $349 micro-sized mono synth that sports one oscillator with saw, Triangle, and Square waveforms, a step sequencer, LFO, a modulation matrix, and MIDI, CV, and USB connections. 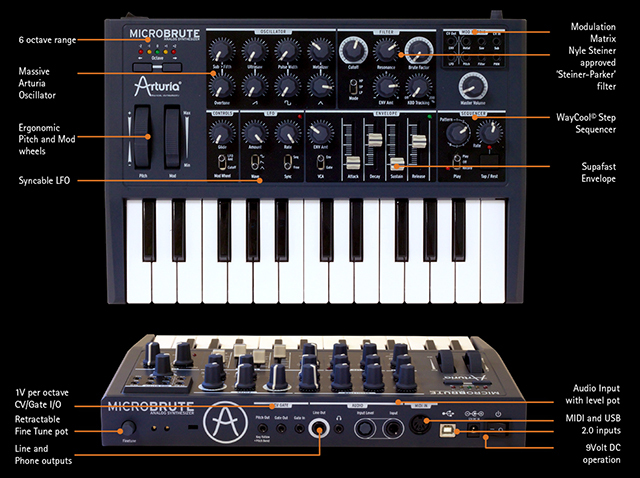 Arturia’s MicroBrute becomes available on November 1, 2013 for $349. Keith McMillen gave the first beta of QuNeo Rogue to Electronic Musician and Dubspot Ableton Live Instructor, Thavius Beck. Check out his impressions of the wireless unit in the above video. “This is arguably the most sophisticated yet the most fun to use delay plugin the world has ever seen. Or heard.” - Sinevibes. “The problem with most delays is that they’re a bit like dumping water on your whole project, rather than a precise shade of watercolor. They delay everything at once. So, then there are multi-tap delays, and more precise delays. And then there’s Multitude, a kind of delay studio that allows you to produce rhythmic delay effects with pinpoint accuracy, producing elaborate patterns via a gorgeous, clear interface. You can delay as little as a single note, routing through shifters and filters and LFOs. It’s the sort of plug-in you could use to build entire song,” says Peter Kirn at CDM. Read more at Create Digital Music. Check out Multitude Quad Delay ($59) by Sinevibes at the company’s website. Strymon, the boutique effects company that has been making a name with beautiful effects like the Blue Sky and Timeline, has announced a new flagship reverb that should appeal to gear addicts everywhere with the Strymon BigSky. 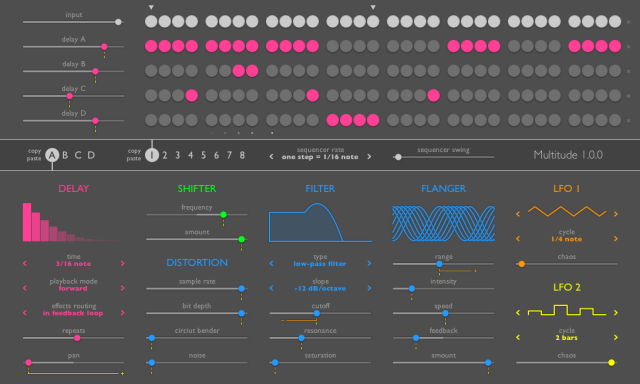 Check out the Sonic Faction Mutant Synth Pack here. Read more at Synthtopia. And check out TrueGrid here.